The Motorola MC9190-G mobile computer builds on the successful MC9090-G, offering more processing power to support today’s applications, more scanning options, better scanning performance, government grade security, a higher resolution display and a more rugged touchscreen and scanner exit window. The following chart highlights all the technology advances in this next generation in the MC9000 Series. Processor Intel XScale PXA270 @624 MHz Marvell PXA320 @ 806 MHz Faster processing improves application performance and user productivity, translating into minutes or even hours saved each week. 256MB RAM/1 GB Flash Major increase in memory improves application processing speed — with ample processing space, there is no need to swap programs in and out of memory during a transaction. The latest in mobile operating systems allows your business to take advantage of the latest feature set, including increased flexibility, interoperability and security. SD Expansion Slot SD/MMC card up to 1GB SD/MMC card up to 32GB Larger expansion slot capacity provides ample storage for the largest applications. Interactive Sensor Technology (IST) No Yes Enables leading edge motion-based applications, including dynamic screen orientation, power management and free-fall event logging as well as access to accelerometer data for custom applications. Provides more data capture options, including long-range capture of 1D and 2D barcodes. In addition, the four imager options all offer Motorola’s revolutionary imaging technology, which delivers stunning laser-like stunningperformance on both 1D and 2D barcodes. The degradation of 1D barcode scanning performance typical in today’s 2D imagers is eliminated, expanding data capture capabilities to include 2D barcodes as well as documents, imagesand signatures — without impacting user productivity or scanning accuracy. FIPS 140-2 Certification No Yes Certified for use in government applications. 3.7 in. VGA color for all operating systems Best-in-class 3.7 inch high-resolution backlit color VGA touchscreen display provides great readability in any lighting condition — from bright sunlight to total darkness. Gorilla® Glass scanner exit Window No Yes Increases the durability of the scanner exit window with glass that is virtually impervious to damage — including scratches. Hardened touchscreen Yes Yes — with increased hardness The increased hardness further improves resistance to wear and tear. Integrated UHF RFID tag No Yes Businesses that have deployed RFID can automatically track the movement and location of MC9190-G devices. Automated real-time inventory enables cost-effective compliance with accounting regulations such as FASB. And the ability to quickly and easily locate misplaced devices ensures that your devices are always available for workers on the next shift. Device utilization and worker productivity are increased, improving the return on investment. Motorola Mobility Platform Architecture (MPA) MPA 1.0 MPA 2.0 The latest Motorola MPA platform provides the latest best-in-class technology architecture, providing an extended lifecycle and future-proofing. In addition, the standardized platform preserves existing application investments by enabling easy and cost-effective porting of applications from other Motorola mobile computers. Bluetooth Version 1.2 2.1 with EDR (Enhanced Data Rate) The latest Bluetooth technology provides a faster wireless connection to more device types (up to 3 Mbps) over a more secure connection. Bluetooth Stacks StoneStreet StoneStreet or Microsoft Select the stack that best meets mobility needs. Swappable Operating Systems No Yes The ability to send the MC9190-G to a Motorola Service Center to switch between CE and Windows Mobile operating systems eliminates the need to purchase new mobile computers to accommodate a future OS migration. Motorola Solutions introduced today the DS9208 presentation imager, DS4208 handheld imager, MC9190-G industrial mobile computer and announced TEAM Express push-to-talk communications as a standard feature across its portfolio of voice-capable mobile computers. The new hands-free DS9208 presentation imager is a sleek, compact and affordable bar code scanner offering excellent performance on 1D and 2D bar codes used in traditional and mobile bar code applications. The new DS4208 handheld bar code imager is intuitive, easy-to-use and quickly reads 1D and 2D printed bar codes on paper or from a cell phone display offering retail customers a truly affordable handheld 2D imager that can enhance their business. Both the DS4208 handheld imager and DS9208 presentation scanner are based on a brand new imaging technology platform from Motorola Solutions that can quickly read bar codes from traditional paper labels and hang tags, as well as from cell phones supporting mobile couponing, mobile loyalty and mobile gift card applications. The DS9208 is offered with an optional on-board parsing engine to read and parse PDF417 bar codes on United States driver licenses. Building on the industry’s single best-selling rugged mobile computer, Motorola Solutions’ new MC9190-G series of industrial mobile computers provides a multitude of keypad and scan engine options, including a new long-range imaging option that offers revolutionary standard 1D and 2D bar code reading up to 30 feet, as well as image capture capabilities to meet the emerging requirements for 2D bar code reading in retail and warehouse applications. The MC9190-G leverages the design of the MC9000 series and incorporates new features, including a more rugged touchscreen and scanner exit window. In addition, the MC9190-G offers a common platform with the MC9000 providing fast porting of applications and backward compatibility with all accessories. Motorola’s newest industrial mobile computer includes an integrated RFID tag to help customers track their MC9190-Gs throughout the enterprise – eliminating lost or misplaced devices. Throughout 2011, Motorola Solutions will introduce the Total Enterprise Access and Mobility (TEAM) Express solution as a standard feature across its broad portfolio of voice-capable mobile computers. TEAM Express enables fast, easy push-to-talk communications among multiple, disparate devices, including Motorola voice-capable mobile computers, two-way radios and TEAM devices to help improve employee accessibility, responsiveness and productivity. Completely server-less and deployed through a simple set-up, TEAM Express leverages existing IT investments and can also interoperate with two-way radios using the TEAM Radio Link Solution (RLS). These products are backed with the complete range of Motorola services, from advanced services to help plan and deploy the next generation of enterprise mobility to ongoing support with Service from the Start with Comprehensive Coverage. What does this business mobility look like? “More and more types of workers are working away from the home office,” says Sheldon Safir, director of marketing at Motorola, “and the whole reason is to increase productivity.” Field sales forces and workforces can be away from the office for weeks at a time. But mobility is about more than simply being out of the office. More workers and managers are also getting out from behind their desks and working where they’re most needed. Retail sales associates are helping customers in multiple departments throughout the store. Warehouse workers are constantly on the move around indoor spaces larger than multiple football fields. And there’s one thing these and other mobile workers have in common. Share a secure 3G/4G Broadband connection between WiFi-enabled Motorola mobile computers anywhere within the coverage area of your favorite network provider. With a supported 3G/4G Modem from the network of your choice and any one of the three Motorola-compatible routers from CradlePoint, you can create a high-speed, secure WiFi network in minutes. Motorola announced the MC959B mobile computer – the industry’s first industrial handheld mobile computer that allows mobile workers to easily select the wireless network that best meets their needs. The MC959B is a data-only device and offers a dual 3G WAN modem that enables enterprises to deploy the device on multiple networks and switch between 3.5G GSM HSUPA and 3.5 CDMA EVDO Rev A connections. The new MC959B is one of the first handheld industrial mobile computers to incorporate Qualcomm’s Gobi™ connectivity technology – one of the first embedded mobile wireless solutions designed to put an end to connectivity limitations. The new MC959B via MAX FlexWAN enables enterprises to deploy and later re-deploy the devices on virtually any 3.5G network, simplifying purchasing and device management. The MC959B is the industry’s most rugged mobile computer and designed for mobile field workers – including those in the transportation and logistics, parcel/post, direct store delivery, field service and public safety industries – who work in large territories with coverage areas that may be best served by different cellular networks. The American Red Cross announced it will use a more than 6,000 Motorola MC55 mobile barcode scanners to improve tracking and documentation of blood donations for its blood drives. The 36 Red Cross regions nationwide will have access to the new barcode scanning technology, which will enable them to keep an organized and accurate listing of donations when it conducts its more than 200,000 blood drives each year. The organization collects 6.5 million blood donations annually from nearly four million volunteer donors. As much as 80 percent of these donations are collected during mobile blood drives held by various organizations, colleges or other community institutions. Collecting blood donations requires a high-level of monitoring and safety protocols to ensure information is properly documented and marked. By using barcode technology, data for each blood donation can be quickly gathered and uploaded onto an electronic database. Many health facilities have introduced barcode technology to improve the accuracy and management of blood packages. Recently, hospitals in the United Kingdom adopted a smartcard and barcode technology system to improve the safety and reliability of blood transfusions. Take healthcare quality and patient safety to the next level with the Motorola MC75A0-HC. Easy to carry and easy to use, the MC75A0-HC is designed for life inside the hospital, able to endure everyday drops and bumps as well as disinfecting after each patient. And robust wireless application performance and wireless connectivity options allows healthcare givers to access patient records, accurately administer medication, monitor patient vital signs, place lab and pharmacy orders, view test results and more — all in just seconds anywhere inside the facility. Supercharge your mobile workforce and redefine productivity with the toughest, most flexible EDA on the market. Workers have multiple tasks and limited time. With the Motorola MC65, they have the tools in hand to get their jobs done right — right now. Desktop-like performance provides instant access to the applications and information back at the office. Shave hours of time out of the work week by capturing and processing just about any type of data on site, quickly and easily — from a single document to hundreds of bar codes, a library of photos or a signature. Activate and reactivate the MC65 on virtually any cellular network in the world, eliminating the need to purchase network technology (GSM or CDMA) specific devices, extending device lifecycle and ensuring that each and every worker has the best connection possible. Add a customizable user interface that makes doing business easier than ever and you have a real workforce multiplier — a device that turns paperwork and repeat visits into more tasks completed per day. The MC65 does it all —1D and 2D bar codes, photos complete with embedded notes, documents, signatures and more. Poorly printed or damaged bar codes a problem? Not for the MC65. Our most advanced scanning technology allows the rapid-fire capture of items as they are removed from the delivery truck, so your customers get what they ordered, every time. With the MC65, an equipment inspector can capture a photo, add comments and automatically embed a geostamp via integrated GPS, sending supervisors the information they need to get the right technician to the right location to complete a repair. 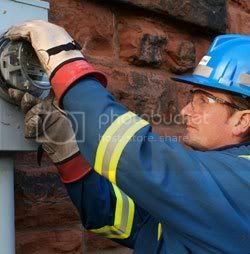 And that repair technician can take and transmit live video to collaborate with a specialist to troubleshoot a problem. A city building inspector can capture a document, complete with legible fine print and a signature, keeping all forms related to a code enforcement case in hand. And when account managers scan the product inventory remaining on the shelves in a grocery store, the resulting real-time count creates real-time accurate sales orders and production schedules. The MC65 offers a Motorola first — the ability to connect to virtually any wireless carrier around the world. Both 3.5G GSM HSPA and CDMA EVDO Rev A software configurable cellular radios are built into the device, allowing you to select the network that will provide the best coverage for your workers. Do your workers travel through large territories best served by different networks? Need to activate on a different network for workers in a different office? No problem. This single device can be deployed and re-deployed on virtually any network, anywhere in the world, making purchasing and device management easy — and maximizing your return on investment. Automated Meter Reading (AMR) and Supervisory Control and Data Acquisition (SCADA) applications. A few years ago, Wisconsin Public Service Corporation began exploring using alternate communications to support SCADA and AMR applications. The company was paying in excess of $100,000 per year in the city of Green Bay alone to lease four-wire circuits to connect its AMR head-end to its substations. In addition, the company was using a low bandwidth fixed radio system for SCADA operations for many of the same substations and it soon realized that the 2400-baud connection that the low bandwidth fixed radio system offered would not be enough to support long-term SCADA applications. To meet the long-term SCADA needs, which included process control applications such as remotely checking power flows and status of the breakers in real-time, the company required additional circuits which would have put its leased line costs in the city of Green Bay alone at more than $200,000 per year. Wisconsin Public Service immediately began looking for another solution to meet its connectivity needs. Company engineers explored many options. They considered using fiber, but soon discovered that even though the utility already had an extensive fiber network in place, running fiber to its substations in Green Bay would cost upwards of $1 million. The company also looked at options such as frame relay, cellular and satellite links and quickly rejected them, given their low throughput and high ongoing costs. The solution: a high-speed wireless communications link that provided the right bandwidth for the right cost – and put Wisconsin Public Service in control. After careful consideration, Wisconsin Public Service took a look at unlicensed wireless solutions. The appeal of these services included ease-of-deployment, low maintenance needs, reasonable cost, high capacity and proven reliability. The opportunity to own and control its own communications network also appealed to the utility. Wisconsin Public Service reviewed many different unlicensed alternatives and selected Motorola’s Fixed Point-to-Multipoint Canopy® platform. Company engineers chose the Canopy solution based on its low cost, wide coverage, ability to support IP and its superior security. Two other big pluses: The throughput of the Canopy system is not affected by distance and is extremely resistant to interference. Wisconsin Public Service executives considered these characteristics an essential requirement for an unlicensed network. Another very important consideration was the ability to securely implement the solution. This was accomplished through a combination of Canopy security and external third-party tools and products.